Summary: Use Windows PowerShell to enable, disable, and configure firewall rules in Windows Server 2012 R2. I see there are some new Windows PowerShell cmdlets for managing the built-in Windows Server 2012 R2 firewall. Could you lend a friend a hand and give me some help in learning how to use them? Honorary Scripting Guy, Sean Kearney, is here, delving further into the wonderful world of Windows PowerShell and the new network cmdlets. This is the second part in a series called Windows PowerShell Network Week. 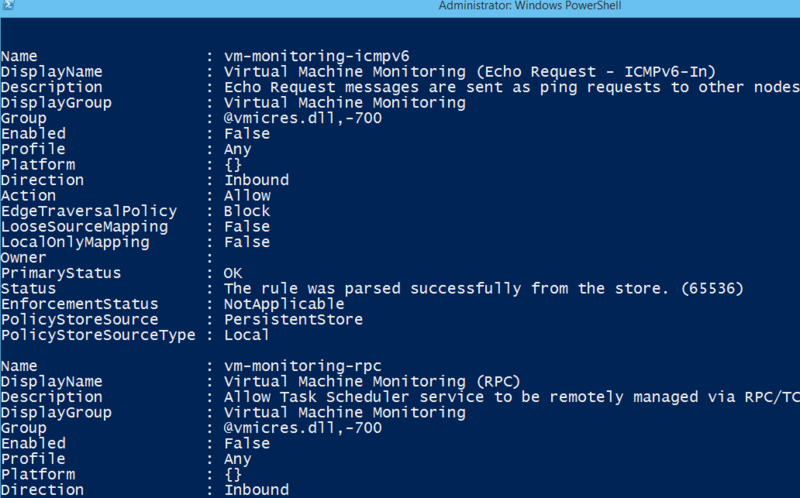 You also might enjoy reading Windows Server 2012 R2 Network Cmdlets: Part 1. Lend a hand? More than happy to! If there is anything I can do to help take away some stress from a fellow IT pro through Windows PowerShell, I’m quite happy to oblige. Now here’s why I love Windows PowerShell for working with the firewall. Netsh.exe worked. But Windows PowerShell works EASILY! Here’s one task I am forever doing computers running SQL Server after an installation because Port 1433 needs to be opened in my labs. I used to go into the GUI and “clickety clickety clickety…oops…clickety clickety…” But in Windows Server 2012 R2, I can simply use the Net-NetFirewallRule cmdlet. We’re going to enable Port 1433 as an inbound rule, and name it SQL Inbound. Don’t blink because it will be done before you know it. Pop back in tomorrow, JD, and I’ll throw more hot cmdlets on the grill!